3 Steps to Optimize Your Daily Commute | Lancaster Homes Inc. Sitting in your vehicle, coffee in hand, glancing at the clock as you cruise to work on your daily commute – sound familiar? Getting to work, whether by driving or via train or bus, can start to feel like a daily grind complete with frustration, boredom or anxiety. 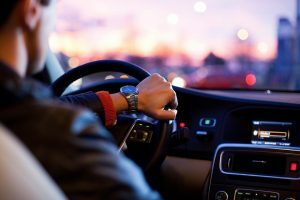 With a bit of forethought and some planning, though, you can maximize your commute – getting those precious minutes back and turning them into enjoyable, well-spent time. If you drive to work, what can you do to prepare your car for the morning commute? An essential checklist could include making sure your car doesn’t run too empty on gas, having a routine schedule for check-ups and oil changes, and changing to winter tires well before the first snow. It’s always a good idea to have a kit of essentials in your car, including a roadside assistance kit, jumper cables, an extra phone battery and warm clothes. Ask yourself what you can do to make your life better – more enjoyable and stress-free – in the morning when it comes to your mode of transportation. Perhaps it’s keeping your vehicle clean and organized, outfitting it with special extras like an essential oil aromatherapy diffuser or a cell phone holder and mount, or investing in a remote car starter to stay warmer on freezing winter mornings. Most of the stress of getting to work comes from being tight on time. Wake up 15 minutes earlier and budget more time than you need, so that traffic or construction won’t become unwelcome surprises and annoyances, but rather moments to further enjoy your time commuting. A zen attitude in the morning is essential. How can you stay stress-free and positive in the morning? Create a schedule that makes your morning routine hassle-free. Maybe it’s making your and the kids’ lunches the night before, packing bags for work, school or the gym, or getting coffee ready to brew. Perhaps it’s planning easy-to-prepare breakfasts, doing some stretches or sun salutations, or playing music or a radio station that makes you smile. A good morning routine is key and will put you in the right mood to enjoy your commute. Whether you like listening to music, podcasts, or just appreciate the silence and the morning sunrise, the drive itself can be an enjoyable time if you set yourself up with your favourite audio options. There are always some good morning playlists on the radio, or hook up your own playlist, audio book or podcast. Podcasts are a great way to pass the time and to soak up some knowledge and quality entertainment while you’re driving – many of our new homeowners love TED Radio Hour for exciting new ideas and inventions, the ever-popular This American Life for first-person stories and fiction, and As It Happens for first-hand perspectives on today’s Canadian and world news. What are your tips for making the most of your daily commute? Join us over on Facebook and let us know what we missed!